Aussie rules: It was like homecoming week for one of Port Adelaide's Australian Football sons, Roger Delaney, who welcomed the AFL club side to Noosa along with his local footy- playing kids. Roger's father played amateur league football, so it was a big part of his life growing up. He joined the Port Adelaide in 1983, a club he had grown up supporting and was later drafted by the Fitzroy Lions in 1990. Unfortunately his rise was hit by injury, breaking his leg in the first game of the year and the injury took two years to heal fully. He came back playing for Port and amassed an impressive 208 senior games, playing in six winning premierships and represent South Australia in State Of Origin. Delaney was nicknamed in partnership with his great mate George Fiacchi who became his loyal sidekick Robin. After retiring, he became an assistant coach to former Port team-mate Mark Williams at Port Adelaide and on moving to Sunshine Coast in 2010 was senior coach of the Maroochydore Roos during the 2011 and 2012 seasons. Married to Commonwealth games gold medallist and world champion netballer, Jacqui Delaney, he was pleased welcome his old team to town. Delaney had been on the phone to his premiership- winning teammate Fiacchi, who sits on Port Adelaide's board, to get some details on how he and his twins Jada and Cooper could get involved. "To have my old club that I love so much training up here at the oval where my kids play is fantastic. "They're both madly in love with footy, as 12 year-old twins. "Even Jada, she's played with Cooper for all her life, six or seven years, they're both very tall and both can play a bit so they just love it and they love the club. Delaney caught up with Power physiotherapist Michael Wilson, who won two SANFL premierships alongside him before embarking on a successful AFL career. 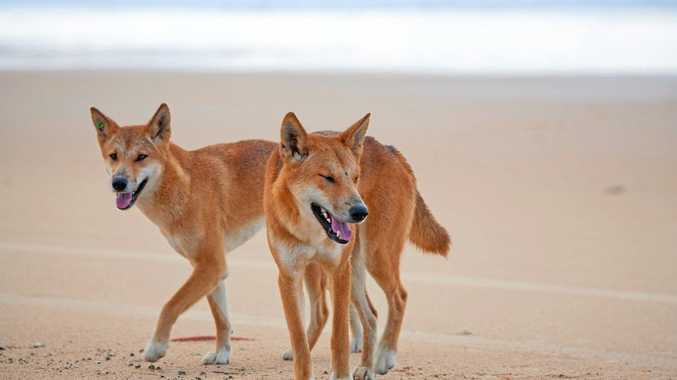 Cooper and Jada were some of the more enthusiastic people at training in the Noosa humidity with the 12-year-old pair running water during sessions on a couple of the days. 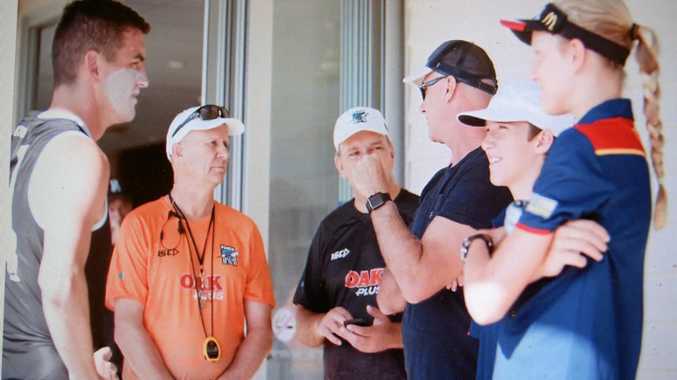 "Chris Davies organised for us to have a chat with Ken (Hinkley) and the players came out after they'd been strapped and one by one they shook hands with the kids and made them feel really welcome,” Delaney said of the experience. "Then they ran water for them afterwards so it was an amazing thing and just one of the reasons I love this club. " He said the kids ended the day buzzing. "I've always loved the club, obviously, but as I've gotten older I've become a really tragic supporter,” Delaney said. "I sit in front of the TV and watch it and I get to as many games as I can.